We are a non - governmental organization from Torun (Poland) created with a mission of supporting disadvantaged persons in social, vocational, educational and cultural areas. CISTOR® SPS was established on 29th August 2006. Since 1st May 2010 we have realised public tasks the city of Torun (according to the Public Benefit and Volunteer Act April 24th 2003), as a successor of CISTOR - the Social Integration Centre that had been led by local authorities from 1st May 2004 until 30th April 2010. The Social Integration Centre from Torun - CISTOR® was one of the first, created in Poland. We applied innovate ways of dealing with social exclusion by activating our beneficiaries, instead of offering them just social assistance benefits. By using innovate methods we help disadvantaged people become independent citizens included and engaged in social life according to the idea of "civil society". We mainly focus on vocational trainings and a social activation of persons who are threatened by social exclusion like: homeless, drug rehabilitants, discharged from penitentiary institution, persons in long - term unemployment, people with disabilities. CISTOR® SPS fulfils its aims and duties, initiated by CISTOR®, cooperating with national and foreign organizations and institutions. We help our beneficiaries become independent from social assistance by so-called social employment and a vocational and social reintegration. Our society property is located on Stokrotkowa Street (that means "Daisy Street"), that is why many names of our projects contains word "Daisy". To increase chances persons threatened by social exclusion of becoming independent by social and vocational reintegration. Legal basis - The Social Employment Act June 13th June 2003 which explains the rules of creating and acting of CIS (the Social Integration Centre). It also defines an idea of social exclusion and conditions of becoming a participant of CIS. According to paragraph 1 of this Act people threatened or affected by social exclusion are not able to provide themselves basic needs. As a consequence they only particularly participate in a family, social and occupational life. The participation in CIS lasts 12 months (exceptionally extended to the next 6 months). At this time participants are given so-called "social employment" based on "The Individual Social Employment Programme". The programme defines rules of the participation, duties but also forms and range of social and vocational reintegration. Finally, it indicates a person in charge of realising The Programme. The Programme can be terminated if the participant permanently brakes the regulations, due to a permanent absence or an application of the participant. 100% unemployment benefit in the next months. CISTOR® SPS implements also many other innovative activities. One of them is aid for the women who returning to the labor market after maternity leave. Firstly, these women can participate in many interesting training, for example: interpersonal training, first-aid, health and beauty workshops, self-defense for women. Secondly, they undergo a vocational training and a professional internship, which lasts 6 months. At the time, the participant can demonstrate a good work in front of her employer and the employer doesn’t bear any cost. If the participant performs their job well, the employer will be likely to want employ her. In effect up to 85% of graduates of this project have successfully returned to the labor market. The next project which has been implemented by Cistor was called “Torun’s cooperation program of social economy institutions with local administration as an opportunity for stable operation PES- realized in Torun”. 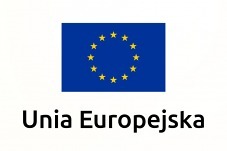 The target of the project is strengthening co-operation with the local social economy entities and public administration in Torun, in order to increase their participation in the implementation of public policies. The project partners are the Municipality of Torun and the authorities of the City of Leiden (The Netherlands). In the first phase of the project has been completed examination to diagnose the problem of cooperation at the local and social economy entities and study visit to Leiden. Then, in the expert group was prepared draft version of the final product and tool to support the implementation of the program. The second phase of the project involves testing the product generated. The third phase will involve the dissemination of tested solutions, including through the implementation of promotional materials and a national conference, as well as the inclusion into the mainstream of the program in all departments of the City of Torun. The project started in February 2012 and will last until January 2015. The other project which was implemented by CISTOR was called „CAL – workshop of inspiration”. The aim of this project was a social and vocational activation of 16 young people who were economically inactive (in age from 15 to 20 years) and were threatened by social exclusion in the Torun, area-Wrzosy. Social and vocational activation was performed through the adaptation methods from CAL Association and implementation methods of vocational activation used in Germany. The social integration contained: organization of monthly event for the local community, alternative forms of leisure, integration trip, individual educational counseling, individual legal advice, individual psychological counseling. In turn the vocational integration included: workshop on career guidance, individual career counseling, individual and group vocational training, volunteering in order to acquire work experience. We were rewarded in 2007 by the Ministry of Regional Development for the "Stokrotkowy Dom" (“Daisy House") project. Due to receiving the award-statue we are entitled to use title: "The Best Investment in Man". Our project was rewarded among 60 others in a competition organised by the Ministry of Labour and Social Policy called "The Best Practice of European Social Fund" The "Stokrotkowy Dom" project aimed in limiting of the social excluding occurrence. The target group was 56 inhabitants of Torun threatened by a social marginalisation due to unemployment, homelessness, addiction or leaving penitentiary institution. CISTOR® was also rewarded by the Ministry of Labour and Social Policy in the competition of "Good Practice of Active Forms of Help" - 2009 Edition. There were 5 categories, CISTOR® was rewarded in "Centre of supporting social cooperatives - a promoter of creating one's places of work by people threatened by social exclusion". CISTOR® was given this award for the project called "Ośrodek Wsparcia Spółdzielczości Socjalnej" ("Centre of supporting social cooperatives"). In 2011 our organization was awarded the award-statue- “Stalowe anioły” (“Steel angels”), by the Voivodeship Government, for the most interesting projects and initiatives which contribute to help for needy people. These awards are handed to social workers for creation and implementation of innovative projects, which solve local solutions to social problems. CISTOR® can also boast of Quality Certificate “Organizacja sprawdzona” ("Organization Proven"), which our organization receives in 2012 from Provincial Federation of Non-Governmental Organizations. This certificate singles out social organizations which take care about the high quality of their work and present the high quality of taken actions and cooperation with the environment. the vocational reintegration part compose of a theoretical training + practical training in a specific vocational profile. Trainings are addressed to: beneficiaries of social assistance, unemployed and occupationally inactive, homeless, alcohol and drugs addicted, discharged from penitentiary institution, youth. We provide a complex service: cleaning indoor and outdoor area, a commercial office cleaning, taking care of green spaces, snow removal. This service is addressed to private persons, companies and community housing from Torun. This services are realised by our beneficiaries. We offer: painting, plastering, concrete works, paving stone placing, demolition of buildings, roofing, floor tiles laying, building partition walls, removals. We invite all European organizations interested in cooperation to contact us (cistor@cistorsps.pl).